Here is the classic shot. 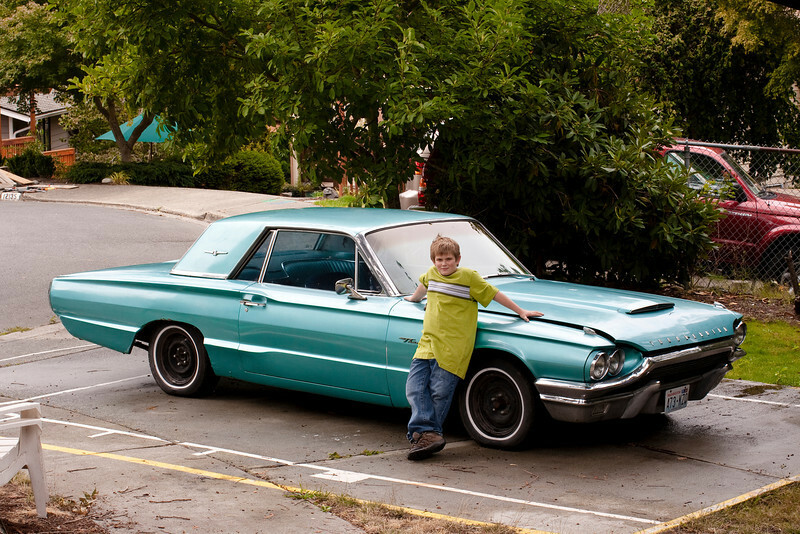 Nate and his 64 tbird. Feeling fine and looking cool! I can't wait to take this picture again when he's 16 and the car is finished!